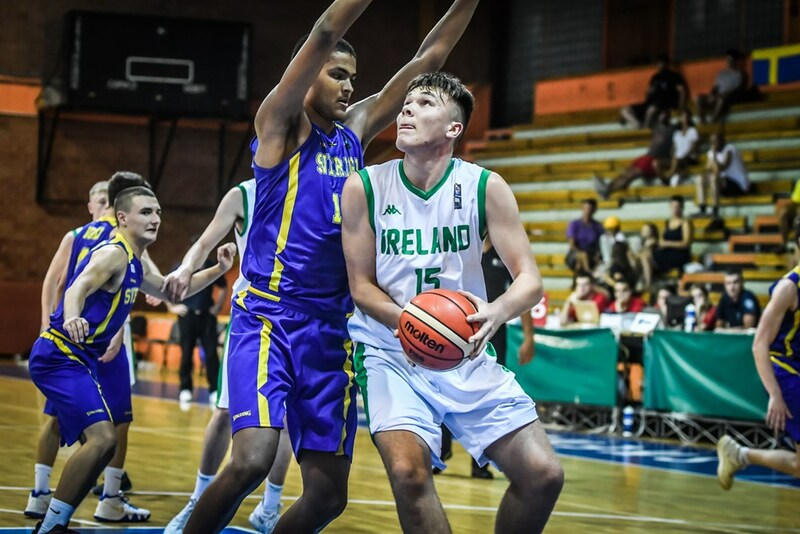 Ireland Under 16 men were unlucky again today as they lost out 63-78 to Finland in the 13th – 16th place classification games of the FIBA Under 16 European Championships. The boys in green were up against it from the off as top performers CJ Fulton and Jack Doyle were missing from the roster due to illness and injury. Finland laid down a marker from very early on, keeping Ireland off the scoring from the opening exchanges. 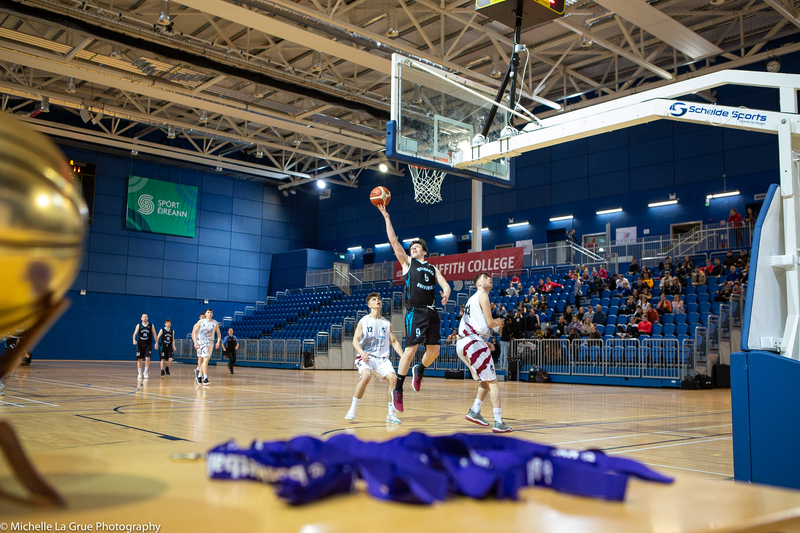 Ireland executed some nice moves in the opening quarter, with good play from Denzel Embose and Liam Keating, but Finland continued to dominate and stormed the first quarter 13-22 points ahead. A much better second quarter performance from Ireland followed, with Rapolas Buivydas continuing to impress with some big scores and drives to the basket causing havoc for the Finnish defence. Ireland’s solid defence was once again the shinning star in their performance with Conor Walsh working hard on rebounds and making great steals. Intelligent play from Buivydas forced Finland to draw fouls, landing them in foul trouble early in the quarter. This gave Ireland the opportunity to close the gap on Finland as they sent Buivydas to the line eight times, seeing him finish the first half on an impressive 25 points out of Ireland’s total 31. Finland started the second half strong but Ireland’s Buivydas and Kelvin O'Donoghue responded with scores of their own. Ireland put on masterclass in defence putting pressure on Finland to take long range shots and forcing them into shot clock violations. Nice link up play between Ronan Collins and Eli Lenihan kept Ireland’s scores ticking over while midway through the quarter Finland found themselves once more on team fouls. This gave Buivydas and Embose the chance to add more scores to the board closing the gap on Finland followed by a huge three pointer from Conor Walsh giving Ireland their first lead in the game. Finland responded with scores of their own and headed into the last quarter ahead 54-55. Ireland were a little slower to start the final quarter as Finland exploded onto the court two back-to-back three pointers. There are a lot of positives to take from the closing quarter’s performance by the Irish. O'Donoghue, Keating and Collins were fantastic on both sides of the court providing vital scores while Buivydas finished the game on a double-double with an impressive 34 points and 13 rebounds. Finland added a few more scores to their profile stretching the gap out of reach for the Ireland as they won out 63-78 in the end. Head coach Mike Lynch reflected on the game, “Well it's 15th or 16th place left to play for. Off court many of the teams have been hit by a gastric bug and while we have been clear of it, we had our first case of it yesterday prior to our game with one of our captains getting the bug. He played yesterday but was worse this morning so we had to rule him out. We also had some of our players suffering from contact injuries, that left us down two of our starting five but the rest of the team really stepped up. Finland played a very high tempo game with prolific shooting. Our intensity on defence never stopped and the players left everything on the floor. We have in this Irish team one of the hardest working group of players at this tournament. They gave all they had both physically and mentally.